While there are still many bloggers who just blog because they like to write and express their ideas online, most people want someone to read it. 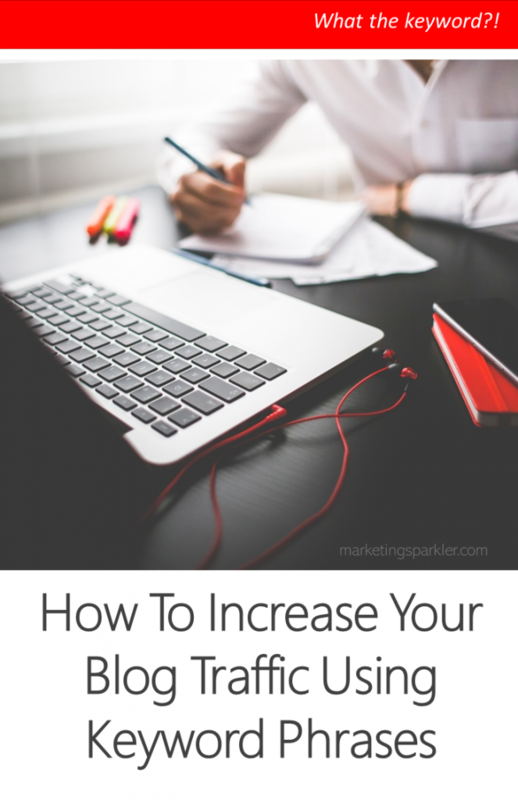 If you want someone to read your blog, you need traffic. And you don’t just want a little traffic, you want as many people as possible to share your blog with. The best way to reach potential blog visitors is through the search engines. And the best way to show up in the search engine results is to optimize each of your blog posts for a specific keyword phrase. Don’t just sit down and write about any subject that enters your head. If you really want to appeal to people, you need to write about things that they want answers to. Start by finding a good keyword phrase to use in your post. This means it should be a phrase that a decent number of people are searching for, but which has a relatively low number of competing websites. Keywords tools such as Squirrly SEO and Wordtracker will help you identify these phrases. Once you know what you want to write about, you can start to outline your post. Make sure your title contains your keyword phrase and that your post itself will deliver on the promise of that title. Some people like to also include their keyword in at least one of their header tags (H1, H2), but you need to make sure that you won’t have so many instances of your phrase that Google sees you as a spammer. With a good outline in place, you should be able to sit down and write your post quickly. At this point, don’t even think about your keyword phrase, except to make sure that you’re sticking to your topic. You’re writing for people first and search engines second. Once you’re done writing, go back and make sure that you do have the keyword phrases sprinkled 2 to 3 times in your post, depending on the post length. The last think you want to do is “stuff” your article with a specific keyword. If you find you’ve done that by accident, just go back and vary the phrase a bit or use other words as a substitution. Always add at least one image to your blog post. It should be something relevant to the content, naturally, but it should also have your keyword phrase in the alt image tag and image description. You’ll be able to see the places to input these when you click on the button to edit the image in WordPress. Be sure to add a description AND an alternate image tag to each image. Why? Google can read text, but it cannot read images. By adding a description and alt image tag, you’ve give the search engine something to read. By creating links within your post to other posts in your site, you create a natural structure that the search engines love. At the same time you add value for you readers by pointing them to other information that they’ll benefit from. If you really want people to read your blog content, you should always try to start with a keyword phrase that your target readers are looking for. Long tail keywords are the best and they will help you be more specific about what you write. In addition, by using a keyword phrase in the title of the post and strategically throughout it, you’ll be far more likely to rank highly in the search engine results.